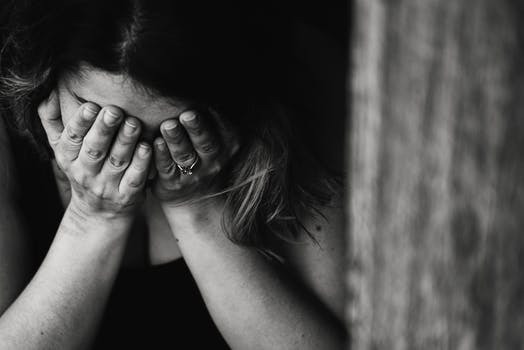 With over 300 million people suffering from depression worldwide, it’s undeniable that this serious illness can be aggravated by an immeasurable amount of internal and external factors. While these triggers may vastly differ from person to person, it is always beneficial to educate yourself on every possible cause as you continue to speak to those you trust about your concerns. Here is a list to get you started. There is a condition called hypothyroidism, which is when the thyroid gland produces an excessive amount of hormones, which has been linked to weight gain, weight loss, brittle hair, and depression. Speak to your doctor about getting this area tested and explore thyroid medication to better tackle the problem. Along with the myriad of extremely harmful toxins that smoking introduces to your body, the withdrawal effects of the addictive nicotine drug is also known to provoke anxiety, causing an overwhelming discomfort and erratic mood swings. Do your depression (and heart and lungs) a favor, and quit. Even though you may be taking medication to treat one issue, there is always the chance that you may be exacerbating another. Depressive side effects have been linked to pharmaceutical products which treat acne, blood pressure, insomnia, and menopause, as well as those used for contraceptive reasons. If you’re prone to depression, research the medication you are on, and speak to a doctor about possible alternatives. As your immune system fights off invading germs, it also releases cytokine. This is a protein that inflames the brain, interferes with concentration, drains your energy, and potentially contributes to depression. Thankfully, these symptoms should disappear once the flu subsides, which is why you should always routinely check for signs of infection (i.e. fever, chills, fatigue) before jumping to any conclusions. You don’t need a nutritionist to inform you that a balanced diet is imperative to a fully functional body, but the Omega-3 fatty acids appear to play a particularly relevant role in building brain tissue and regulating those happy juices. Unfortunately, the body is unable to create Omega-3 itself, which is why you need to stock up on mustard oil, seaweed, and seeds such as flax, chia, and hemp. There are also supplements available. Carbs are like everything in life. You have the light side (vegetables, fruits, nuts, whole grains etc) and you have the dark side (soda, cookies, white bread, fries etc). The trick is to exercise some moderation, as too many simple carbs swimming around the body is not only bad for the heart but may also fuel the growth of cancer and cause depression via brain inflammation. It is now widely accepted that a strong link exists between depression and excessive social media usage. The reasons aren’t difficult to hypothesize, as people are endlessly scrolling through the best versions of their friends, comparing their own lives to a bombardment of vacation photos and happy families, aggravating emotions of inferiority and sadness. Rather than depend on this false sense of socializing, meet up with your friends in real life and limit your online time as much as possible. Considering all the warnings against the sun’s harmful rays and their cancerous causing qualities, it’s easy to sometimes forget that human beings are designed to thrive from this source of energy. If you are cowering indoors all day, you are probably lacking in a natural dose of vitamin D and serotonin, both of which are responsible for boosting your mood. Use this as an excuse to escape on a sunny holiday, or at least look into purchasing a SAD lamp while stocking up on these supplements. It’s a vicious cycle when one finds themselves too depressed to move and decides to lie in front of the television all day instead, lowering their dopamine and serotonin production even further. Your whole body may cry at the idea, but you should frequently force yourself to go on a quick walk, as the fresh air will clear your thoughts and this activity can spark a little bit of happy chemistry within your brain. However, if you simply cannot stand up, at least avoid watching any sad films, as these will only deepen your depressive emotions. This suggestion may seem obvious, but be honest with yourself: are you cutting corners from your recommended 7 – 8 hours of slumber? If so, your energy levels are not being replaced properly, which leaves a disadvantaged brain to deal with all of life’s problems, often resulting in irritation and depression. Ward of this torment by developing a proper routine, avoiding caffeine in the afternoon, and turning off your electronic devices long before bedtime.